Do you have a feeling there could be MORE to life? The ultimate six-week guide to self-love, creating your dreams and happiness. Have you ever felt confused about your purpose in life? Do you feel disconnected from your soul or who you really are? Do you often worry about the future or regret the past? Do your negative thoughts keep you from enjoying each day? Do you compare yourself to others and feel you're not enough? Does it feel like your life is stuck and you want to get unstuck? Are you putting your happiness on hold until some day in the future? Do you struggle to action your goals and manifest miracles? Do you dream of finding more love, health, wealth or happiness? 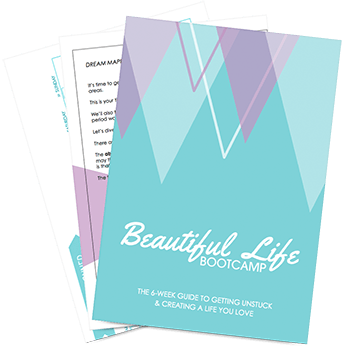 Beautiful Life Bootcamp has been designed just for you! Discover who you really are and reconnect with you. Get crystal clear on your values and purpose. Let go of your past hurts and regrets. Free yourself from fear and worry. Create a positive and peaceful mindset. Achieve your wildest goals and dreams. Manifest your desires with help from the Universe. Build powerful rituals and habits that serve you. Love yourself and build your confidence. Create a life that makes you jump out of bed. Through coaching 100s of clients and my own radical life transformation I've discovered what works. I've broken it down into a simple step-by-step system which contains my best tools and secrets to creating the life and happiness you dream about. Past students have seen results in just a few weeks! You are worthy of this. Find out who you REALLY are. Expect many aha! moments. Discover how to connect with the powerful, perfect, wise part of you. Learn the essential tools to connect with your inner spirit and Higher Self. Why your self-concept is flawed and how to fix it instantly. Master the art of self-love, confidence and feeling like enough. Find out the secrets to harnessing your personal power. This is life-changing! Finally discover your true purpose in life. What sweet relief! Find out how to identify your super powers - your gifts, passions and values. Map out your dream life vision (love, career, wealth, lifestyle, travel & more). Why you are doing goal setting wrong - and what successful people do right. The little-known tricks to master your goals and stay on track. Learn how to create inspiring rituals and make every day feel satisfying. You are a miracle magnet. Learn the surprising way to turn your switch on. Discover how your beliefs and thoughts can block your dreams. Learn to spot your major limiting beliefs and blocks (the past, anger, doubt). Gain a new powerful toolkit for releasing blocks for good. Hello freedom! Why your mantras and affirmations don't work - and what to do about it. Your powerful plan to rewrite your beliefs and make them sink in. Your fail-safe plan for moving forward without knowing all the answers. Learn how to trust in your future and dreams so you can finally relax. Become a master of inspired action and achieve more with less effort. Co-creating with the Universe. Everything you ever wanted to know. Discover how to listen to your intuition for answers and guidance. Self-sabotage and resistance - and how to resolve them for good. Discover the secret to manifesting and living your dreams today. Your complete life and environment upgrade plan. The Be Do Have paradigm. Become exactly who you want to be. Starting now. How to master gratitude and enjoy each and every day. Tools and exercises to rewire your brain for more joy, happiness and fulfilment. Understand your fear, where it comes from and what to do about it. Your new powerful toolkit for deactivating fear and anxiety when they grip you. Learn how to get on an upward spiral in life. Things just keep getting better! Practice working mental miracles and being led by love and joy. Why you are missing out on your life. You need to know this. Learn how to live in the present and slow down time. I would just like to say Elyse how much I have benefited from your Bootcamp. I feel completely different in such an amazing way. Thank you for sharing so much in a practical and easy to follow way. You explain things really well and then your exercises and workbooks make me follow through. I have personally found your exercises incredibly powerful for reaching goals. Things manifest incredibly quickly. Thank you doesn't seem enough. I was feeling ambivalent and stuck in my life. I didn't really know what I was doing or why I was doing it. Since working with Elyse, I am definitely more present and mindful, and happier more often. I have found the confidence to pursue my life goals. It's a great way to get some clarity on your life purpose and to take stock of where you're at. Even better, the changes you put in motion can make you seem like a different person by the end! These lessons are changing my life! Writing about what I want has definitely given me direction, a feeling of power, peace and joy. I am moving in a positive direction. So thankful I signed up for the Bootcamp! 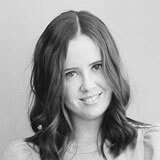 Elyse takes you step-by-step from where you are from where you want to be u2014 happy, confident, self-loving, and consciously living a life of purpose and passion that YOU design. It was life-changing to learn how my mindset and beliefs were keeping me trapped. I upgraded my inner world and had big wins in my outer world. The Bootcamp is helping me tremendously. I have been savouring each module. I'm consistently meditating and carry the calmness through my day. Ready to get unstuck and start truly living? Want a peek at what's inside? I know you are busy so I have created practical workbooks and easy cheatsheets so you know how to actually make real changes in your daily life. These are the worksheets and tools I use to change my life. You'll get access to my ultimate resource vault of the best tools and resources to change your mindset and your life! These are the resources I share with my private life coaching clients. Meditation doesn't have to take hours and feel like hard work. You'll get beautiful short-and-sweet meditations to listen to when you need to calm your mind, access your inner guide or envisage your future. You get exclusive access to our premium custom-designed membership site. You also get lifetime access to the materials, so you can keep making big life changes! Each lesson is jam-packed with value. You will learn through easy-to-watch videos, handy audios and beautiful PDFs which you can easily download and take-away. You'll walk away with a transformative toolkit to use in your every day life - to live with greater purpose, create your dreams and goals, master your mind, expand your happiness, find inner peace and let go of everything that restricts you. Change your mindset, uplevel your life. Just a few years ago, I was living a life that made me desperately unhappy. It fit perfectly with the status quo and expectations of others - but I was struggling. I was empty and frustrated, riding emotional rollercoasters, ruled by my fears and monkey mind, and relentlessly battered and bruised by life happening to me. Not anymore. I'm so grateful to have found a better way to exist. I'm now operating from my soul, led by love, living my dream authentic lifestyle, and free from so many old beliefs and blocks. Every day feels truly magical. I'm also engaged to my soulmate, in the best shape of my life, earning a six-figure income, living in my favourite place, surrounded by beautiful friends and working in my dream business. Someone pinch me! That's why Beautiful Life Bootcamp was born to show you PRACTICAL ways to make LASTING CHANGES in your life. To empower you to LOVE YOURSELF more and ACHIEVE YOUR GOALS without the struggle and fear. I believe in gratitude, authenticity, choosing love over fear, and finding daily joy and peace // There is no single definition of success and no such thing as normal // Life is meant to be easy and beautiful // You have the power to create your life // Happiness is the ultimate goal of our lives, and it is both worthwhile and attainable. Beautiful Life Bootcamp helped me get clear on my true purpose and passions, and understand how to get there without knowing all the "hows". At times in my life, I've been held back by negative beliefs and self-doubt. Thankfully, the Bootcamp provided many practical tools to help me overcome these. I feel so much more peaceful and calm after mastering my 'monkey mind' and becoming more present. The Bootcamp is perfect for anyone looking to dive deeper into their inner spirit, grow into the person they hope to be and make life changes stick - whether big or small. Before the course, I was wondering about my emotional ups and downs, and worrying about my purpose in life. Beautiful Life Bootcamp has been a life changer. I would highly recommend the course! I only wish I had taken it sooner in my life. I feel more joy in my life, more peaceful and more confident to follow my dreams. I gained an overall picture of what a good life truly is. Since taking the Bootcamp, I now know I can reach my goals, conquer my fears and truly experience life by being in the present. I am excited and so grateful for the course material! The teachings are both practical and passion filled. 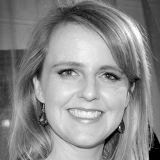 Elyse has a real gift for bringing it all together in a clear, powerful and actionable way. 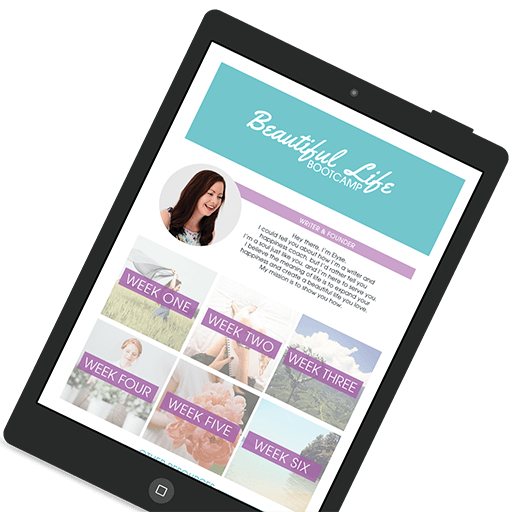 If you're ready to live fully and shine brightly then the Beautiful Life Bootcamp is for you. 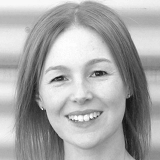 Over six weeks, Elyse guides you step by step as you gently, soulfully connect with yourself. She helps you move towards deep self-love, a more positive mindset, living your purpose and creating the beautiful life of your dreams, so you can say hello to more abundance, love, career opportunities, happiness or whatever your heart desires. Stop living on autopilot and start truly living! You'll get instant access to the course - so you can begin making positive changes to your life today! You get lifetime access to the content and can go through the course at your own pace. What if I fall behind or now is not a good time? That's fine! You get lifetime access to the material, so you can catch up. I'm not sure if the Bootcamp will be opening again this year - so if you are on the fence, now is the best time to join us. The price may also be rising on the next round. Don't wait another minute to start living the life you dream about! It's never too late, beautiful soul! And once you learn how to live in the present, worry less and feel more joy, every day feels so juicy and full! How is this program different to other material? Many people teach goals without soul (you may meet society's definition of "success" but you still feel empty and stressed inside). I teach both. Because I believe life is about connecting with your soul and creating your desires. You'll learn how to transform and align both your inner world and your outer world. That's where the magic happens! It's a step-by-step system, so you don't need to be a special manifesting wizard to have success with it. It also saves you so much time and overwhelm when faced with the huge volume of personal development material out there. If change was easy you probably would have done it by now. I feel you. But I have made it as easy and practical as possible. I want you to get value from the program, and I'm so confident it works, I offer a 14-day guarantee. That means if you think there's a "slight chance" Beautiful Life Bootcamp will work for you, you should enroll today. If you don't get value from the program, simply email me within 14 days with your completed worksheets, and you'll get a full refund. I've been where you stand now. Let me take you step-by-step to where you want to be. Lifetime access to the Beautiful Life Bootcamp and all updates. 6 weekly modules filled with life-changing trainings. Practical exercises, tools and techniques to carry with you for life. BONUS: Handy worksheets and cheatsheets for fast learning. BONUS: Beautiful simple meditation recordings to get you started. BONUS: The behind-the-scenes story of how I created my dream life. See you in the Bootcamp!